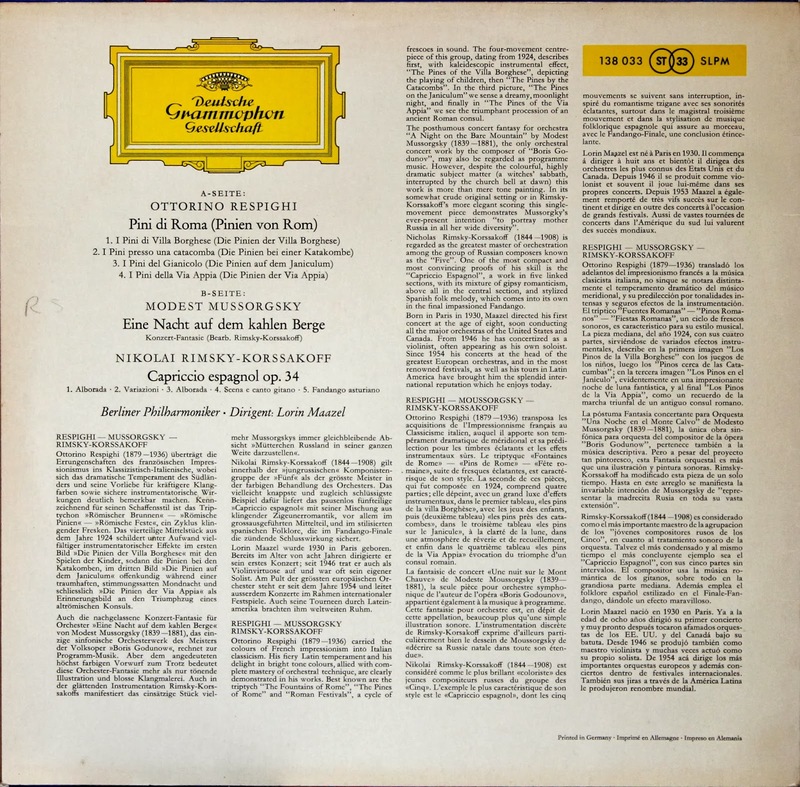 Comments: Another fine DG release from the young Lorin Maazel and the Berlin Philharmonic. 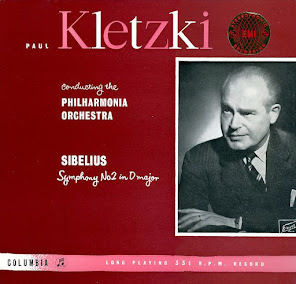 We have here three staples of the orchestral repertoire, each given polished readings. 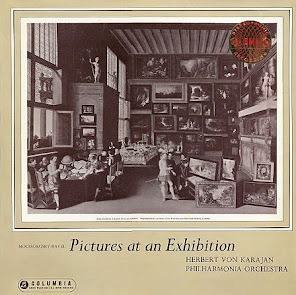 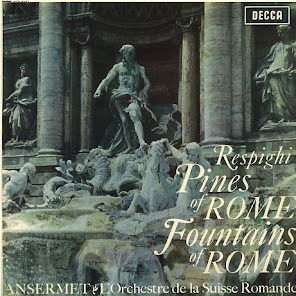 The Pines of Rome, Maazel's first of at least three recordings of the work (the others being with the Cleveland Orchestra on Decca and the Pittsburgh Symphony Orchestra for Sony), is given a majestic reading, though it may not have quite the majesty as Reiner's classic RCA recording. 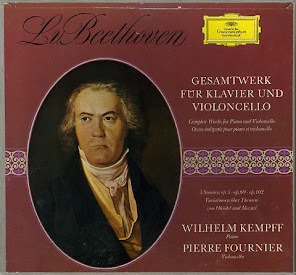 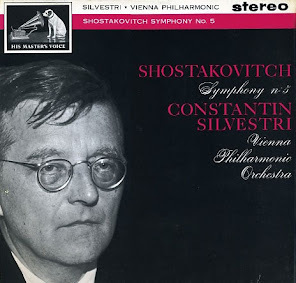 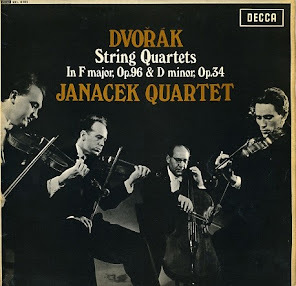 A Night on Bald Mountain is brisk in tempo but somehow seems to lack the visceral impact in comparison to some of my favorite recordings, such as Gibson's on RCA (Witches' Brew), von Matacic's on UK Columbia, Reiner's on RCA, and Solti's on Decca (Romantic Russia). 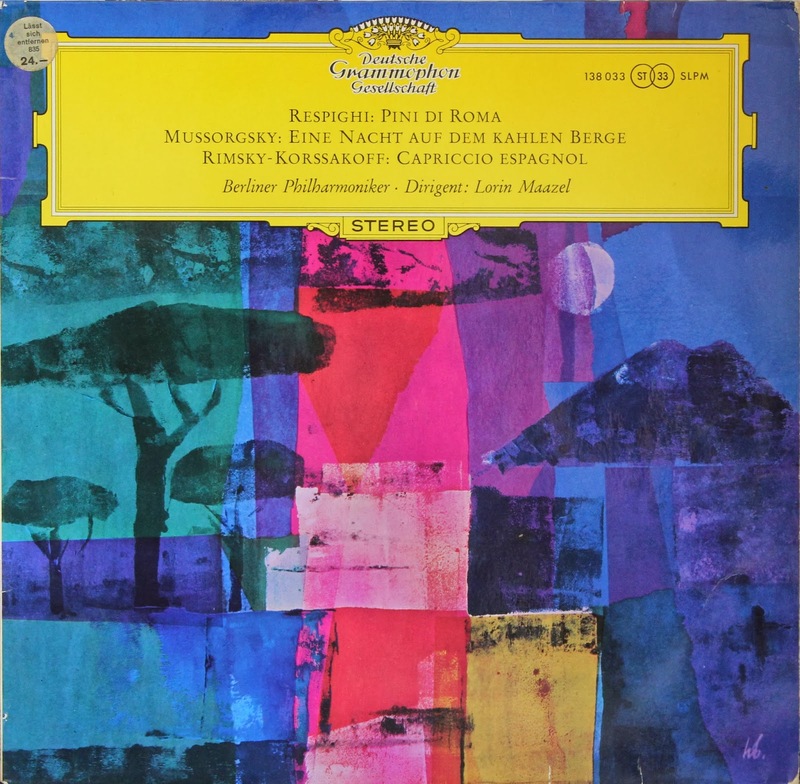 Capriccio Espagnol is given a spirited performance and may be the highlight of the album, but in terms of both interpretation and sound quality, it doesn't supplant Argenta's famous recording for Decca (Espana) or Szell's for Epic/UK Columbia. 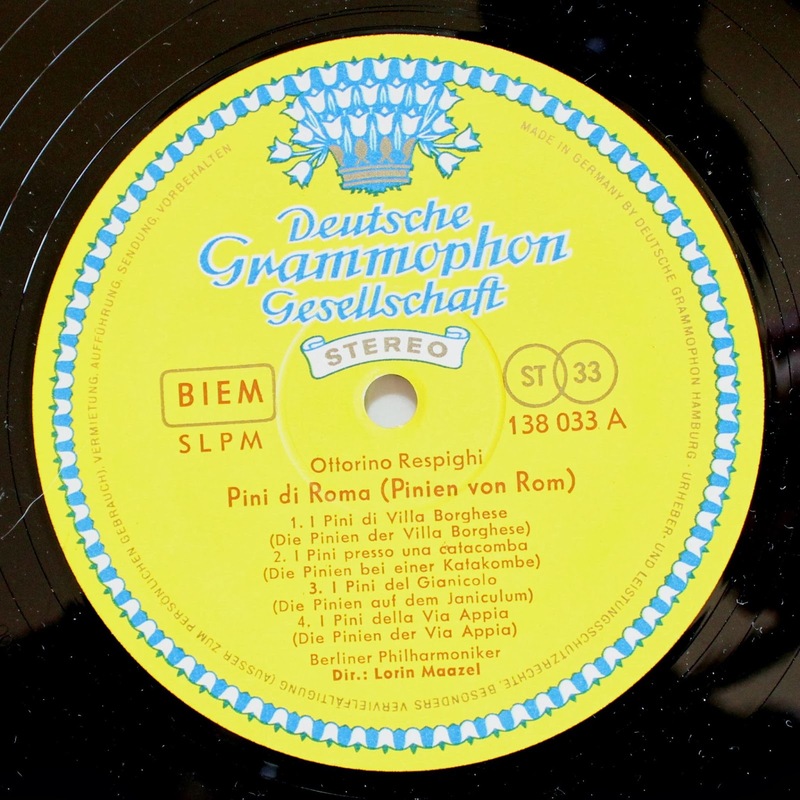 The relatively weak bass of this recording may have contributed to the overall lack of sonic impact of the album. 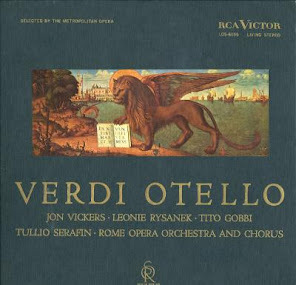 Altogether a nice program but more gripping performances and recordings are available.